Thought you had your SEO strategy locked down? Think again. Search engine algorithms are constantly changing, and we know it can be nearly impossible to keep up. At one time, filling your blog posts with keywords would instantly shoot them to the top of Google. Later, emphasizing long-tail keywords and reliable linking became rank worthy. Welcome to the next stage of how people search online, and get ready for some new marketing buzzwords—including the pillar page. Over 64 percent of searches are more than four words, and longer-form queries are becoming more and more popular. Now, search engines are able to find the exact information you’re looking for based on your location, time of day, search history, and other data. Also, due to the rising popularity of voice search, inquiries tend to be longer and phrased as questions. People are also relying on snippets of blog posts and featured information to get their answers quickly and easily. Content that matches the exact questions asked is outweighing mass-produced vague content. Google now gives information that is not exactly what you ask for. For example, if you search “apartment,” it will also give you results for “condo” or “houses for rent.” In order for search engines to recognize your content brilliance, your site needs to be reorganized and centered around main topics—or pillars—with all your content clustered around them. For years, SEO specialists have worked to match content with specific keywords. This worked great, but you may have found that your content was disorganized and you were often competing with yourself for the top Google rankings. The new solution is to start with a broad topic that you want to rank for. Create content based on keywords linked to that topic. 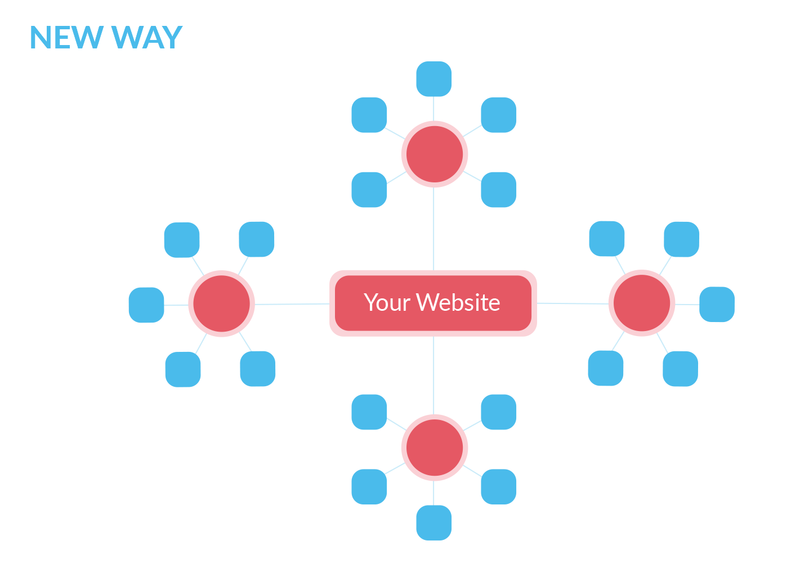 Then, link them all together to create a web of expert information. This topic cluster gives you authority with search engines and helps organize and support your content from within. The pillar page is the most important part of your new SEO strategy. 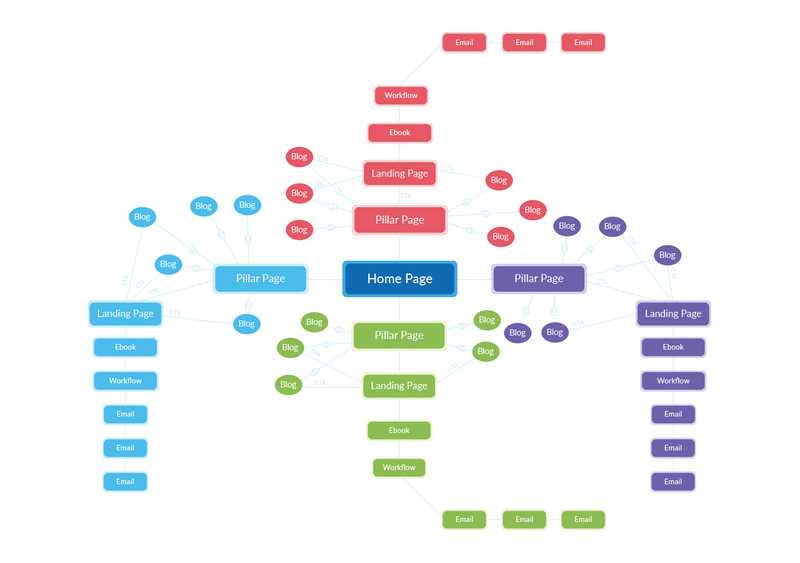 Your website’s pillar pages are the basis upon which your whole topic cluster is built. Think of a pillar page like the encyclopedia version of your main topic. It answers all the basic questions with links to more detailed blog posts and content offers. Pillar pages are long and cover all the different aspects of one topic. You want to prove your knowledge about your topic and then offer additional gated information that gives more detail, expert analysis, or live demonstrations. 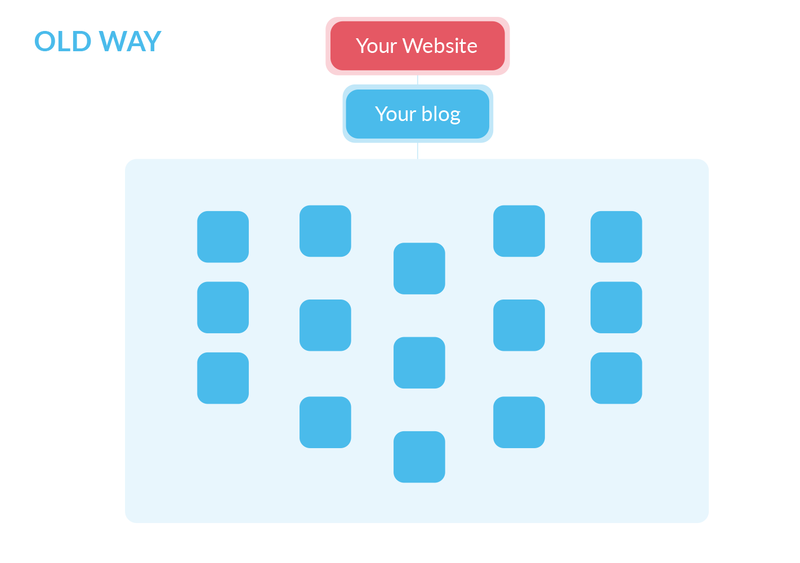 Nothing on your pillar page should be gated by a form but it should have many CTAs throughout, and the content should aim to convert visitors into leads. 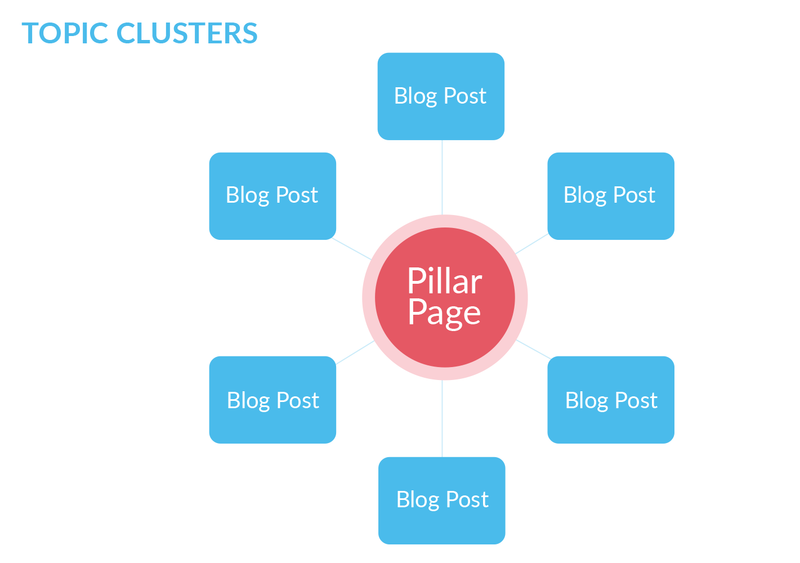 Your pillar page is Broad Topic 101 and all the other content in your topic cluster is supporting, linking to, and elevating that general information. SEO isn’t what it used to be. Search engines have changed the way they crawl the web in order to respond to the new way consumers search. 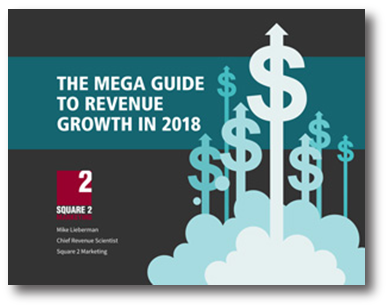 This means marketers need to change their content strategy to deliver content in a way that finds the right people and answers the right questions. By reorganizing your content into topic clusters and building pillar pages to show your topic authority, you can help search engines find your content and consider it as valuable. Don’t be the last to adapt when the search engine algorithms have already changed. SalesHub's complete (and totally meta) pillar page on pillar pages! 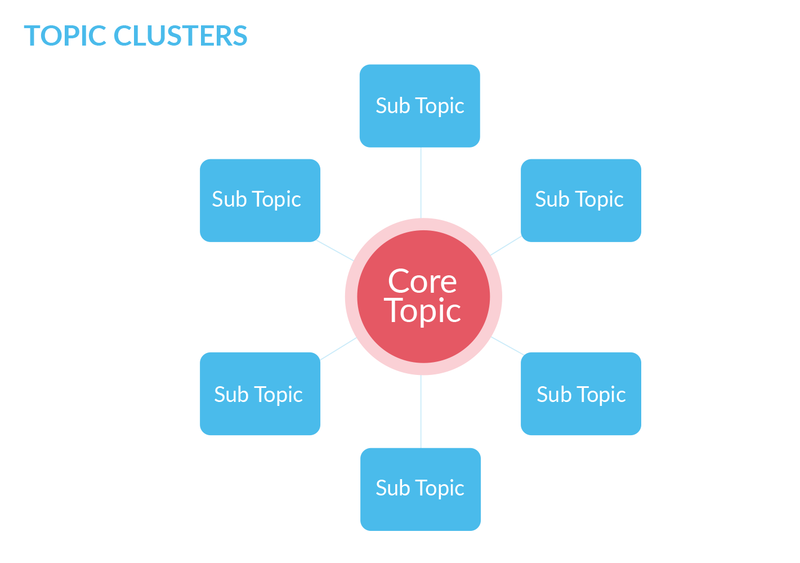 What Are Pillar Pages, Topics Clusters, and Subtopics?